Buying clothes online for most men is a preferred way, even though it can be trickier to know what shirt, or any other piece will fit you. Plus, most of the shoppers do not know their right size and fit. Our computer vision engineers team has developed a revolutionary technology for measuring the body. Our body measurement application uses a front camera on the mobile phone to calculate six body measurements of a man and help buy clothes that will fit just right. The solution provides results on average with 98% accuracy for measuring men. 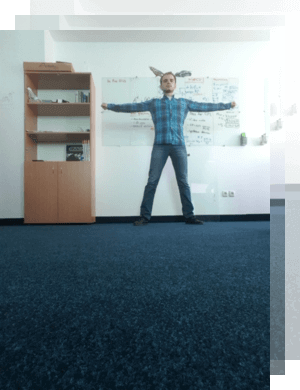 Would you like to try out our Body Measurement API? Put your phone on the floor vertically (screen facing a person standing at full height), the front-facing camera is used to capture frames, and take a photo of the empty background. 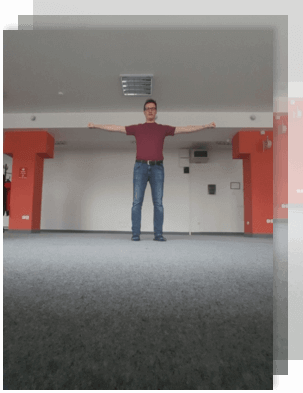 Now take photos of yourself in four positions: arms parallel to the floor, hands in fists, legs hip-width apart, facing straight (back, and to the sides). The app provides audio clues on what position a person should take (you have three seconds to change the position). To check your own measurements, upload three photos for each of four positions, and one photo of the empty background (only .jpeg, .png, .bmp and maximum file size 10Mb). Then select your height and get measurements.